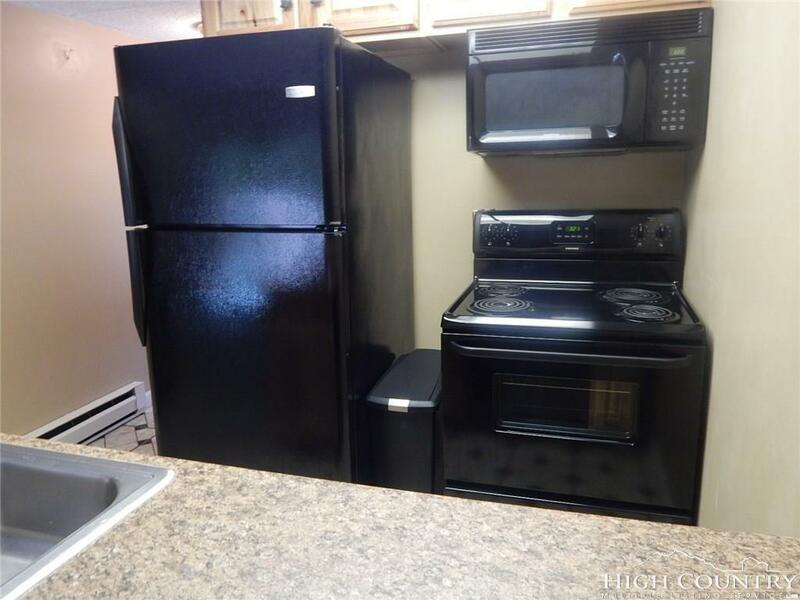 Two bedroom, two bath condo in a friendly condo complex on Seven Devils. Well maintained. Being sold unfurnished, but owner has left a few pieces of usable furniture. 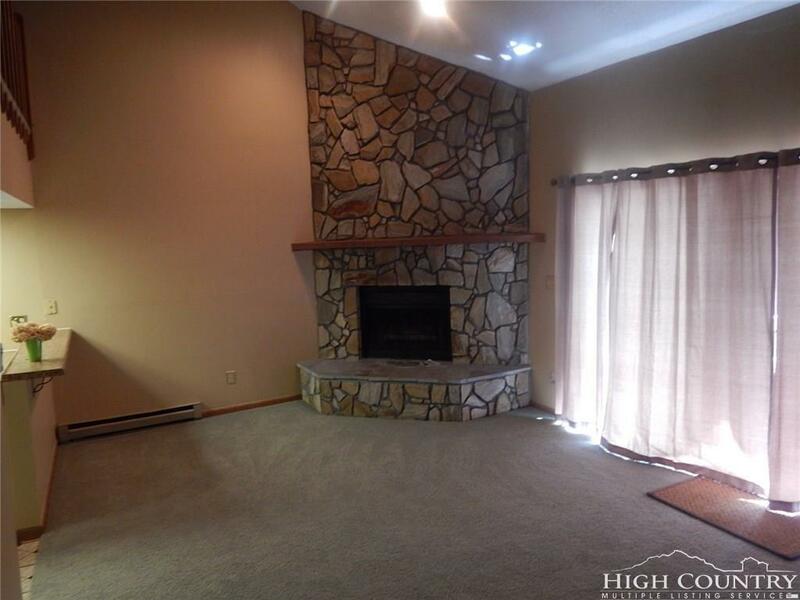 Beautiful floor to ceiling stone fireplace equipped with gas logs. Easy parking and level entry. Like new staked washer and dryer only used a few times. Large walk in closet in the master bedroom. 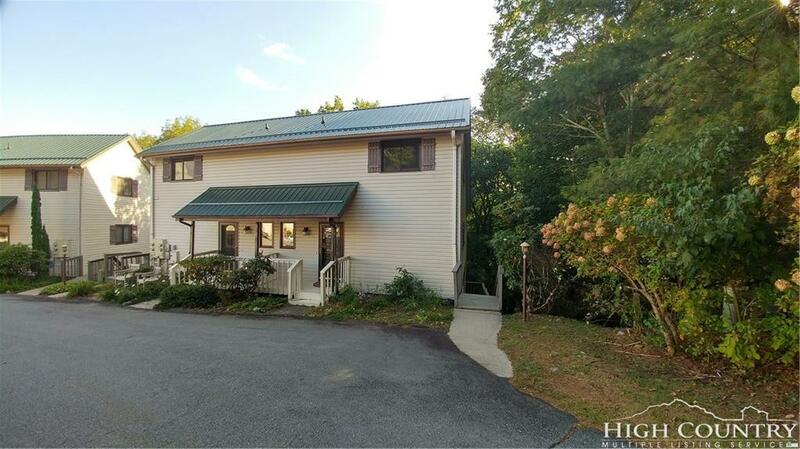 The assessment mentioned in the listing is for a new metal roof, Seller is paying this assessment. Sit on the private back deck and enjoy the cool air, the elevation is almost 4,000 feet. 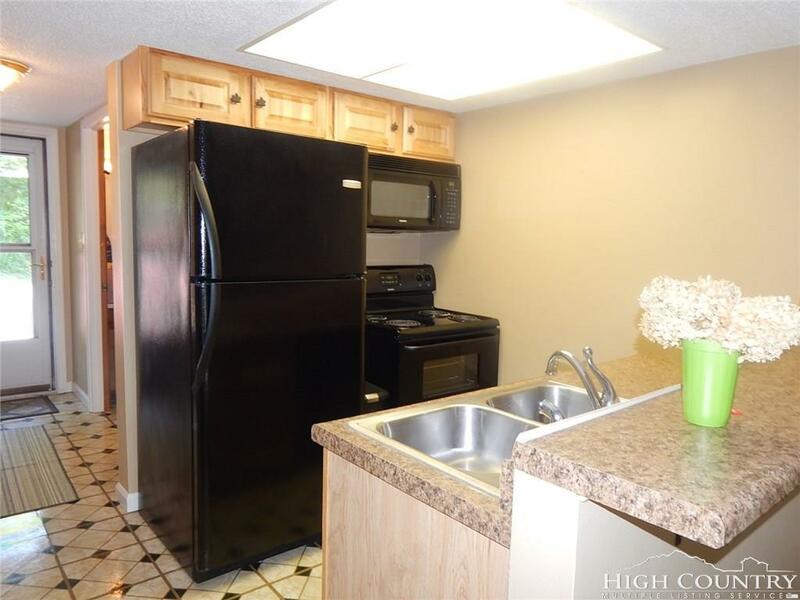 This condo would be great as a year round residence or vacation spot. Seller will consider any reasonable offer. Listing provided courtesy of Melissa Berkheimer of Buchanan Real Estate.